About Andros, Bahamas - Mosko Realty Ltd.
Andros Island, is the largest of the 26 inhabited Bahamian Islands but it’s made up of many cays and it is considered a single island. The three major islands known as North Andros, Mangrove Cay and South Andros are connected by mangrove estuaries and swamp lands with small islets and cays to make up Andros. Major towns are Nicholls Town and Andros Town on North Andros and Congo Town on South Andros. Andros measures 104 Miles wide and 40 miles wide at its widest point and has a population of just over 7,000 people. The land area of Andros alone is greater than all the other Bahamas Islands combined. Andros boasts awe-inspiring marine life and diverse ecosystems. It showcases the Andros Barrier Reef (3rd largest in the world), blue holes, mangrove flats and tidal creeks. Bordered on the east by 6,000 ft tongue of the ocean that separates New Providence from Andros. Andros Barrier Reef runs about 120 miles along the Tongue of the Ocean and it’s well know for its deep water sponges and large schools of red snappers. Whereas on the West side of the island you will find shallow waters. Since Andros has a low population, it contributes to maintain the marine life and habitats. Andros has a wide variety of different species and vegetation not found on any other island and it is the prime breeding grounds for a variety of marine species. Here you will find the largest free roaming population of crabs in the Bahamas. It has the highest concentration of blue holes in the western hemisphere and the larges reservoir of freshwater in the Bahamas. 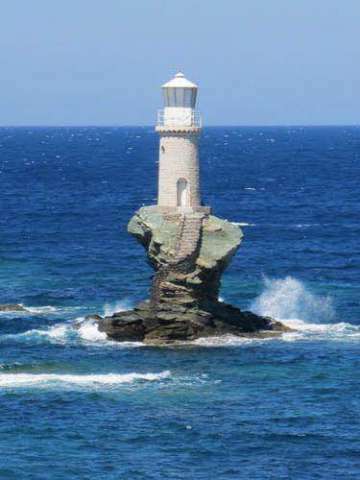 Turtles, Flamingoes and the Andros Rock Iguana are all found in Andros. Due its Andros’s miles of untouched and pristine wilderness, it is very well known for Birding as well. It has most of the resident Bahama Birds and an excellent location for observing migrants. Androsia, a hand-made batik fabric and garment factory, comes from Andros. The Birch Family started the business in 1973 and still operates today making vibrant brightly colored Bahamian themed garments, fabrics, jewelry, books, craft items and lots more. Visitors can tour the Androsia Factory to see artisans go through the whole process of making the fabrics and can even take lessons, a must see for visitors! Androsia has become the unofficial national fabric of the Bahamas. Andros is a place the whole family can enjoy!